It’s possible that the concept of essentialism is so deeply embedded in Europatriarchal thinking that I can’t relate to it at all. I might like to declare that there’s nothing uncool about my feminism, but that’s probably not the case. I did not pursue poetry in order to invest in drab hierarchies or peruse dreary quibbles. Human literary expression is continuously flowing from a great multiplicity of sources and toward a great multiplicity of possibilities. That said, any notion of progress is surely a human illusion, a tic even, and one that’s been used destructively. It would seem to me to go without saying that any idea that there could be one Important Literature, selected by a few, relevant much less revelatory to a captive many, is an idea so whack its time has come undone, at least several times over now. Neither margin nor center is an actual place. That equation’s a construct, and a miserly one. It’s a construct, with its own beauties, strengths, delicacies, residents, ghosts, landlords, trades- and repairmen; but it is not the only (actual or possible) construct, and we needn’t inhabit it. As a society we are afflicted by punditry and expertism, with the occasional mild detour into hipsterism and other estranged places, so that all these necessary elements, like history and myth, are all the more easily crushed and cubed into merry tacky soundbites that serve the willing and the few. In fact to even begin to have conversations such as this one, our bodies have to be pretty darn well attended to, though in other ways entirely untended, abandoned even, and our thoughts oddly divorced from. This disembodies us, you see, so that histories can be made and maintained by inertia and flip accounting. So that although such asides are hardly the total culprit, I find such things as Andrea Brady’s charmingly sourpuss characterization of the macho modernists (in last fall’s Jacket), and Spahr & Young’s placating overattention (in text & note) to Ron Silliman, to be rather defeatist, in terms of recording female literary history and in terms of feminist envisioning. Why? Because quite frankly nearly all of the modernists I myself consider were women, and most of them queerly. Why? Because I can think of many more than a few of Silliman’s loose generation who’ve been much more daringly and consistently feminist and inclusive. For centuries, in places, by habit and by creed, by design and by greed, women are systematically, linguistically, and whither random, shut out of the record and of the crowd. They’re swamp set the streets of London, chapbooked and de-flea’d. It’s wicked weird though, and so intimate. There are other systems also used for ill, my fellow creatures. And so Ashton’s lonely set machine, and so what Spahr & Young call the failures of feminism I’d be more likely to call the victories of more insidiously violent forces. And certain things simply confound me. For example, in Stephen Burt’s kind and perceptive review of my book Birds & Fancies, in the Believer last September, he writes “the poems stand as far as they can from the cold dictates of adult necessity, reason, government, patriarchy, authority.” I kind of like this sentence, but it also rankles because I do not see how the fact that my energy is so centered in motherhood these years somehow exempts me from the public world, or any “cold dictate.” I have more at stake than ever, I think children should not be treated as second-class citizens, and I do not mean for my poems to be hermits. For example, in Patrick James Dunagan’s review of Traffic, which I edit, in last August’s Galatea Resurrects, he claims there was only writing by women in the second issue, which I expect would come as a surprise to contributors Jules Boykoff and Shanxing Wang, both of whom I am fairly confident self-identify as men. For example, when I reminded Stephanie Young that we’d always published the writing of men as well as women in my earlier magazine, Outlet, she took it off the “Numbers” article’s list of “feminist interventions.” Now I could surely not complain of not being noted in the Spahr & Young, but I also do not see how the inclusion of men necessarily renders a publishing project outside the realm of “feminist intervention.” Not to put too fine a point on any of these. How do I know this? Research and common sense, Horatio; which might be to say living and reading and the fact that we are all alive and it was the bodies and stories of our ancestors that brought us here. I don’t think I can see any way round it: we are our stories and we are our bodies. I don’t say this to deny or diminish or simplify anyone’s idiosyncratic being; in fact quite the opposite. We arrived here via the bodies and the stories of our ancestors and of our closest relations. And so here we are. What more to say? These birds used to be dinos and we used to live in the sea. 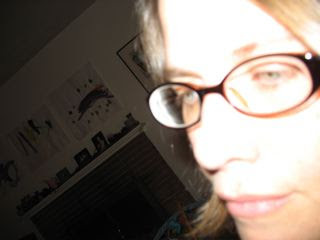 My 2003 essay formerly known as “Secret Mint: an exposition,” about studying with Paula Gunn Allen at UC Berkeley, which will appear in Women Poets on Mentorship: Efforts & Affections (Iowa UP, forthcoming this year) and be excerpted online at How2 this spring. Letter to the editors on the gender issue, Tripwire #4, 1999.